In-pack and on-pack promotions foster lifetime relationships with customers and can increase sales. 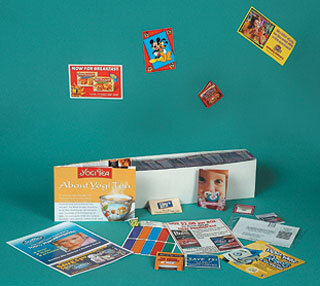 Inserts might include coupons, recipes, business reply cards, temporary tattoos, stickers, mini-booklets, and so on. In-pack coupons are preferred by customers, are the most convenient to use, and have the highest legitimate redemption rates. Double or single dollar bill size coupons are the most popular format, folded to 1-5/8" x 2-5/8". They can be easily inserted into your product's packaging using our patented inserter equipment. • What Are "In-Pack Coupons"? • What Are "On-Pack Coupons"? • What Are "Instant Redemption Coupons" (IRC)? 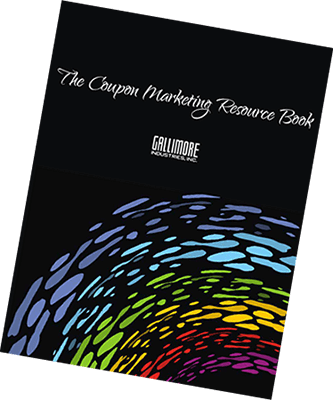 • How Do Coupons Help Marketers Sell More Product? 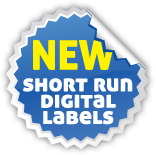 High speed web presses produce colorful promotions.